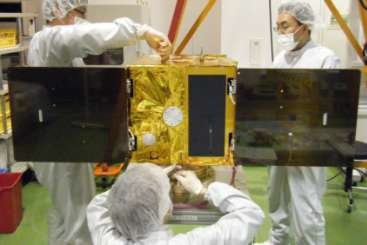 SOCRATES – the Space Optical Communications Research Advanced Technology Satellite is a microsatellite project of the National Institute of Information and Communications Technology in Japan. 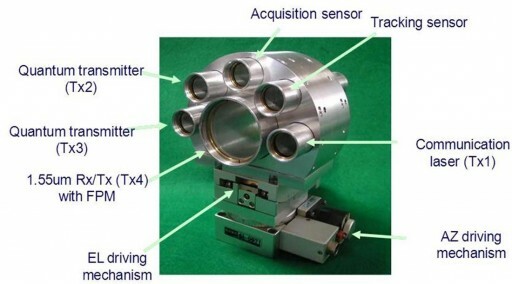 The primary objective of the mission is the demonstration of a Small Optical TrAnsponder SOTA – a laser communications terminal for use in space flight applications. 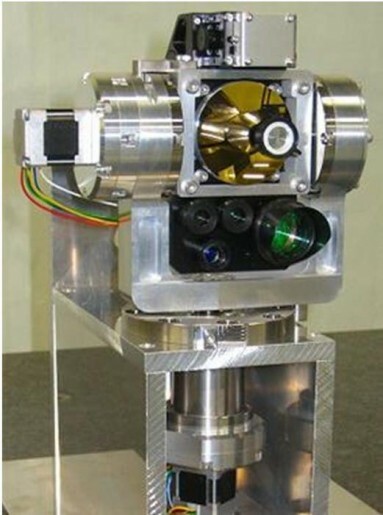 The main payload of SOCRATES is SOTA – the Small Optical Transponder that will be used to demonstrate a compact laser communications terminal for use on satellites, microsatellites and nanosatellites. 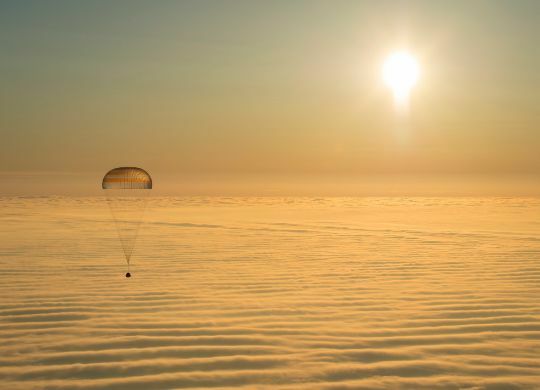 The objectives of the mission are the verification of on orbit acquisition, tracking and communication performance of the small optical terminal as well as the collection of data associated with propagation through the atmosphere at various wavelenghts. SOTA will be used to assess the quality of communications using different coding, different Quantum Key Distribution techniques and different Optical Ground Stations using different equipment. To locate, lock onto and track an uplink signal, SOTA uses an Acquisition and Tracking System with an aperture diameter of 2.3 centimeters that creates a field of view of +/-40 mrad and uses an InGaAs detector. 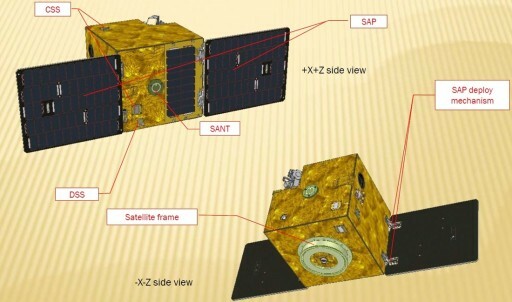 Once tracking the signal with high accuracy, SOTA’s main receiver can acquire the signal since it has a narrow field of view of +/-2mrad using a Cassegrain Telescope (using a combination of a primary concave mirror and a secondary convex mirror aligned on the optical axis). 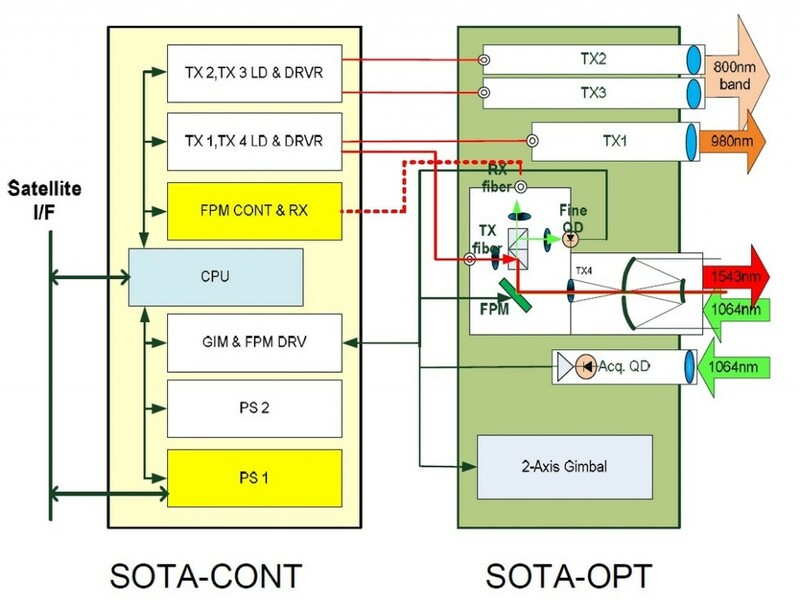 SOTA uses a total of four transmitters – TX1 and TX4 are used to transmit data while TX-2 and TX3 support quantum measurements for satellite quantum key distribution – these measurements use TX2, 3 and 4 simultaneously. 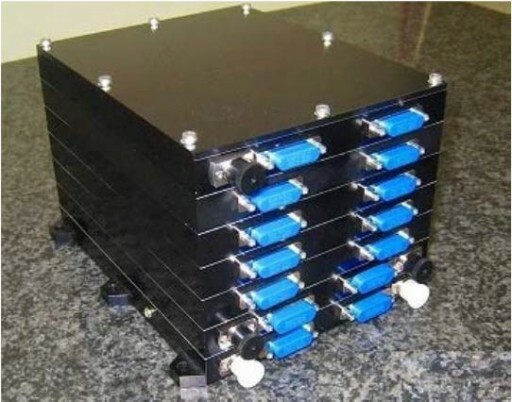 The transmitters reach a data rates of up to 10Mbit/s for data downlink and 1Mbit/s for telemetry downlink.